1285859480 -Gain a solid global understanding of microeconomic principles and examine the latest thinking on important microeconomic happenings with Boyes/Melvin’s popular MICROECONOMICS, 10E. 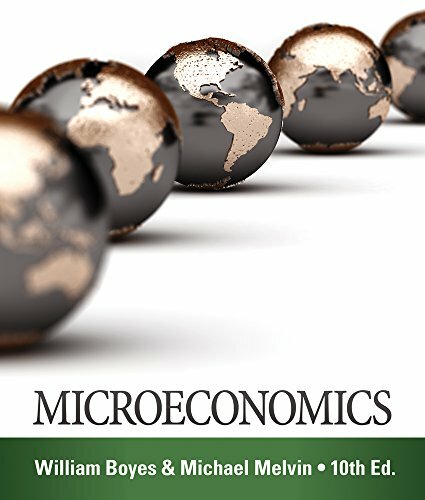 A reader-friendly writing style, carefully integrated learning features, and emphasis on global microeconomics help you fully understand the connections between key microeconomic principles and actual business practices. Timely revisions and the latest microeconomic statistics ensure you are learning about the latest microeconomic developments and their practical application to current events. New microeconomics coverage highlights current debate on government economic intervention and discussions of the Economic Freedom Index. You also gain an in-depth understanding of globalization and its impact on microeconomics today. Cutting-edge learning technology and a full range of supplements, including the world-leading Aplia homework system, MindTap Personal Learning Experience, and an integrated eReader, help clarify key concepts and equip you with the microeconomic background for success in business today.